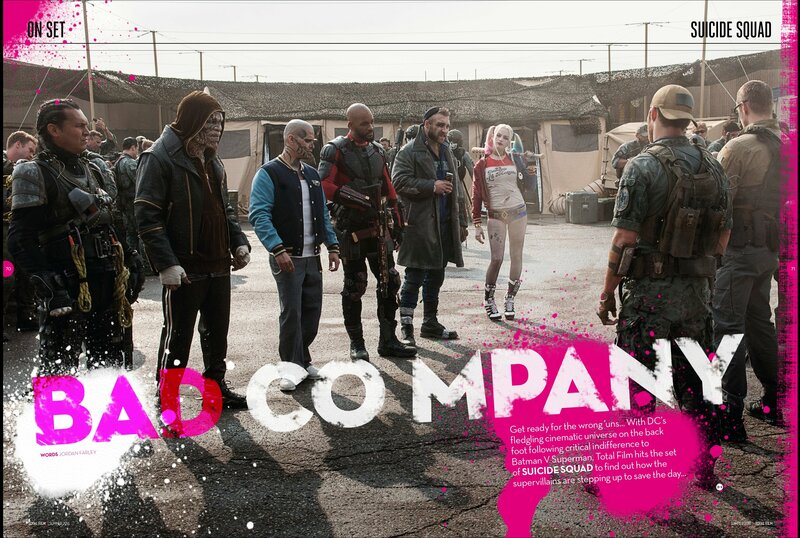 Total Film Magazine ~ 'Suicide Squad' Feature (August 2016). Image from Total Film Magazine's August 2016 feature on 'Suicide Squad'.. HD Wallpaper and background images in the Suicide Squad club tagged: photo suicide squad 2016 movie film total film magazine still cast group bad company august. This Suicide Squad photo might contain রাস্তায়, শহর দৃশ্য, and শহুরে.